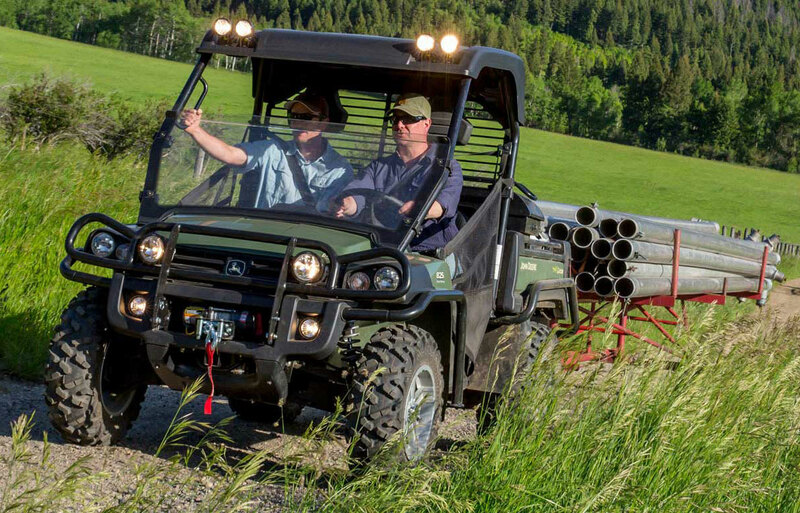 Utility Vehicles have proven themselves to be hugely practical and reliable machines for a massive range of uses. With a wide range of specifications and customisation available, their flexibility and durability makes them a must-have. With over 500,000 sold, John Deere Gators are proven work vehicles and you won’t find a wider choice of utility vehicles to meet your needs. Whether you choose from the flexible Work Utility range with their lawn-safe high flotation tyres, or the rugged go-anywhere Cross Over models - you'll find them easy and fun to drive - and massively capable. You don’t have to take our word for it. Come take a ride and feel the difference! We can help you find the perfect Utility Vehicle to suit your needs. Take a look at our range or call 01267 235 625 to speak to one of the team.